The Good Life Fitness marathon in Victoria, British Columbia, Canada was an excellent turnout on October 7. We are proud to have supplied three of our ramps to be used for all those crossing the finish line. 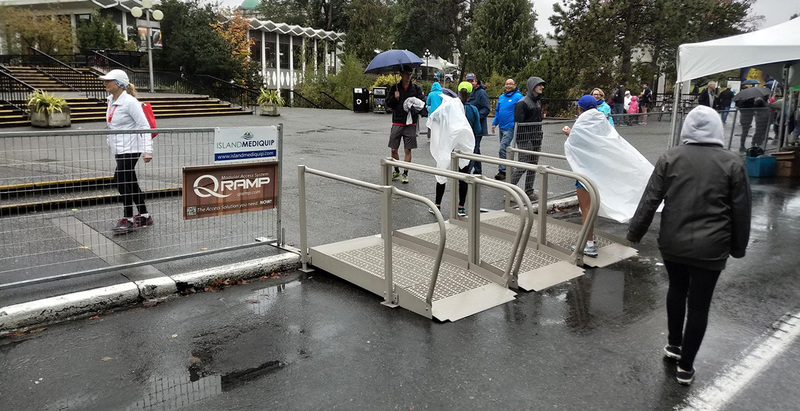 Despite over 8,000 participants using them, after the race, they still looked as good as new and there were many compliments on their sturdiness and excellent slip resistance. Although, here in Ontario for the event, we cheered for all of our friends and family there on the ground and were extremely happy it was a great success. Many thanks to Joe and his team for supporting an excellent organization and encouraging the betterment of health and fitness for everyone.